Enjoy your holiday with some fishing in Dorset. The fishing all over has been pretty consistent over the weekend and I can see it continuing for the remainder of the week, with slightly stiffer winds than we have had for a bit and tides that are gradually building to a large spring tide over the weekend. The fishing for Bream along the Portland end of Chesil has been outstanding. At the other end of the beach Smoothound and Ray fishing has been improving. I can only imagine that as the tide starts to build a bit more that both the hound and ray fishing will get even better. Bass fishing seems to have improved over the past couple of weeks, with more and more showing up at numerous marks along the coast. With bright sunshine and calm conditions forecast for the next 5 days, you will have to get up early or wait till dusk for your best chance of one. Portland: 1m swell with slightly coloured water. 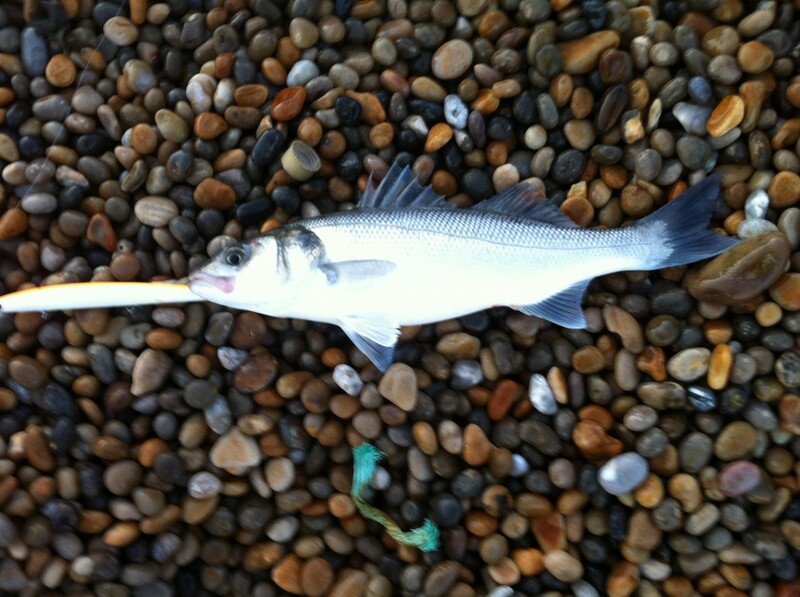 Chesil Beach forecast: Plenty of Mackerel all along the beach and they seem to be pretty close in. If you fancy a Bream or Gurnard then head towards the visitors centre near Ferrybridge. There are numerous marks all fairly close to each other that produce both species. If you fancy a little bit of a walk to get away from the crowds, then go past the end of the bird sanctuary. It is a good mark to get a good variety of species. Garfish are being caught on float fished strips of Mackerel from the beach, as are Scad in the evening. The tides are improving for the Ray and Smoothound. My favourite bait for the Smoothound is Peeler Crab, which works well for Rays, but Sandeel seems to be that bit better for the Rays. Portland: The swell that we had over the weekend should die back today, making fishing a bit better from the rocks. Expect Wrasse and Pollock from most marks on the island. Dusk over the next couple of days should be very good for the Pollock fishing on lures. Wrasse fishing on lures might not be quite so good until tomorrow when the water clarity should be better. Try float fishing for them with Ragworm. Portland Harbour: I heard a couple of reports of small Bass coming from the harbour and some small Wrasse from Sandsfoot area. Apart from that it has been pretty quite in the harbour. Preston Beach is a good option on Saturday if you want from shelter from the strong SW winds that are forecast. I wouldn’t be surprised to hear of Rays, Dabs, Bass and Smoothound coming from there. Fishing Tails > All Articles > Reports > Chesil Beach > Enjoy your holiday with some fishing in Dorset. 2 Responses to "Enjoy your holiday with some fishing in Dorset."